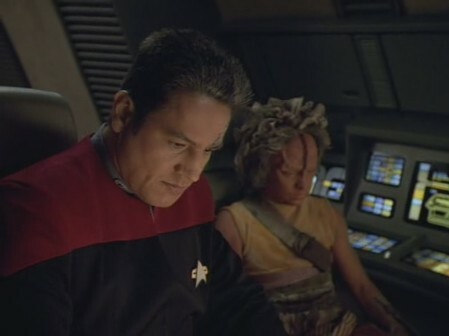 An absolute age after reviewing the first episode of Star Trek: Voyager Season 2 (I'm not joking - it was more than four years ago), I suddenly felt the urge to rewatch a few more episodes. The review of "Initiations" was the most-viewed post on The Angriest this month, as were the reviews of "Projections" and "Elogium". Over on the comic book side, reviews of comics from 18 October (here and here) proved unusually popular. Over on the film side, readers of FictionMachine (where I keep all of my new film reviews and essays now) were most interesting in Justice League and Grosse Pointe Blank. All up in November 2017, I reviewed three new films, seven older films, eight TV episodes, one music album, and 68 comic books. A full index is available below the cut.